It is with great pleasure that I write this letter of recommendation for Mr. Ze'ev Ronen. I met Ze'ev about six years ago in the context of a research project that my students and I ultimately implemented in the production facility under his supervision at the time. In winning approval for and implementing this project, I worked closely with Ze'ev and benefited greatly from his advise, insight and practical input. I also got the opportunity to familiarize myself with his unique, relational style of management which I continue to highlight to my students and others as an example of Israeli managerial excellence. 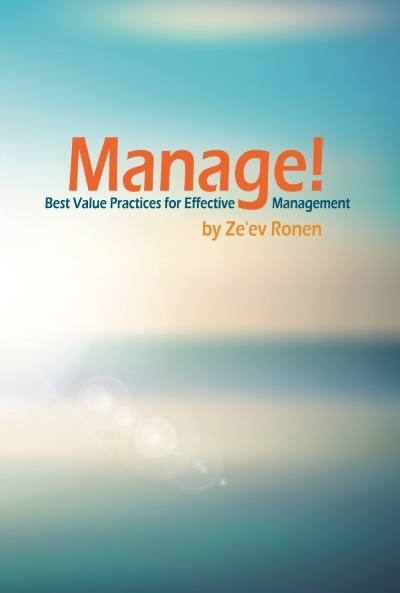 Ze'ev is one of those rare managers able to combine strong analytic, financial, and operational competencies with a strong sense of integrity and genuine warmth and concern for people. Working with Ze'ev, I always had the sense that he was driven by a vision for his facility and that he was able to bring those under his leadership to follow him in implementing this vision on the basis of trust and charisma. Those working under him wanted to be a part of his vision not so much because of any instrumental benefit, but because they believed in Ze'ev and what he was trying to achieve. This became most evident in the case of two projects that Ze'ev adopted at Osem-Nestle. One of these projects (the one I initiated) involved the establishment of a peer assistance network, with workers trained to assist one another in handling all sorts of personal and emotional challenges both on and off the job. Whereas other managers preferred to avoid the risks inherent in such an innovation, Ze'ev felt that such a program would facilitate the kind of culture change that he was looking to bring to Osem at the time. Not only was the project successful, but it in fact emerged as one of the pillars upon which this facility’s success was based. The second project (developed by a Technion colleague) was aimed at addressing plant safety issues by means of a behaviorally-based intervention. This project was equally successful, and also contributed to the establishment of a climate of warmth and trust between management and labor at the plant. Without such a strong relational foundation, I question whether all of the other successes achieved by Ze'ev would have been possible. Ze'ev’s willingness to pioneer new initiatives and use them to further the longer term interests of all of a firm’s stakeholders is evidence of his ability to build coalitions and lead towards change and, in many cases, organizational renewal. His willingness and ability to question what others take for granted and reflect on his own past mistakes is evidence of a leader that is willing and eager to learn. At least at Osem, Ze'ev was successful in embedding his own interest in learning as the basis of a real learning culture. I am convinced that this learning orientation, in turn, played a key role in generating the kind of results that Ze'ev became known for while at the helm at Osem-Yokneam. Based on my own work with him as well as the experience evident in his resume, I believe that Ze'ev would make an outstanding CEO in almost any context or environment. Clearly the kind of person seeking and thriving on challenges, Ze'ev is likely to bring significant returns to those employing him, particularly when significant restructuring is required. In sum, I wholeheartedly recommend Ze'ev for any top-tier position for which he may be a candidate.